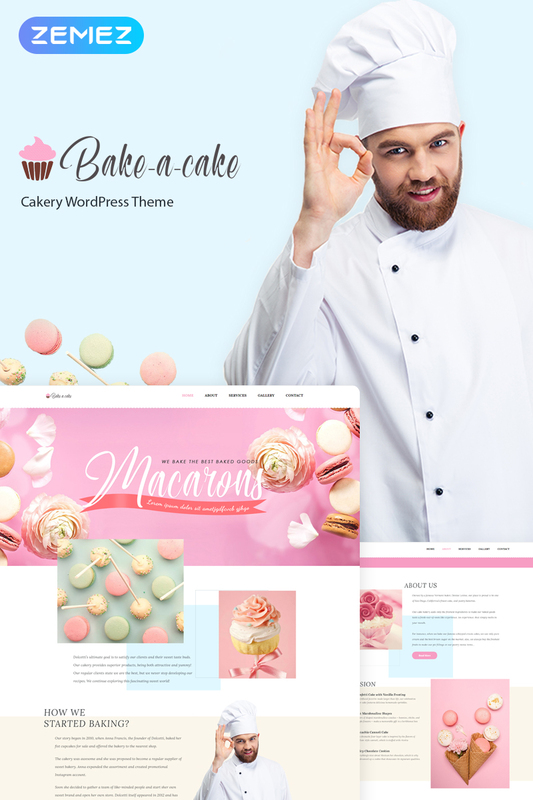 Bake-a-cake is a fully responsive Cakery WordPress theme, that was crafted with care to showcase your bakery in the best light! It boasts a sweet clean design, therefore, your visitors can easily stay focused on your baking goods. 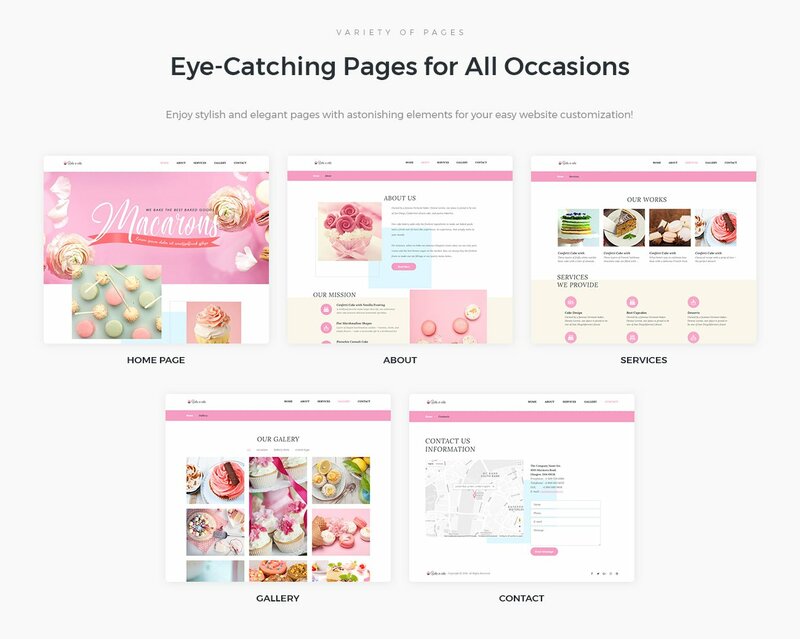 Bake-a-cake is a theme built on Elementor drag and drop page builder, which allows to create your page layout absolutely hassle free! The theme also contains a bulk of powerful and effective plugins, including stunning Jet Family! Discover JetElements, which contains additional modules, which canâ€™t be found in standard Elementor package. With JetBlog you are free to create astonishing blog layouts and showcase your posts in the most attractive way! Bake-a-cake theme also comes with JetTricks plugin, which was crafted to add spectacular visual effects to your site. Create your own unique headers and footers by means of JetThemeCore! 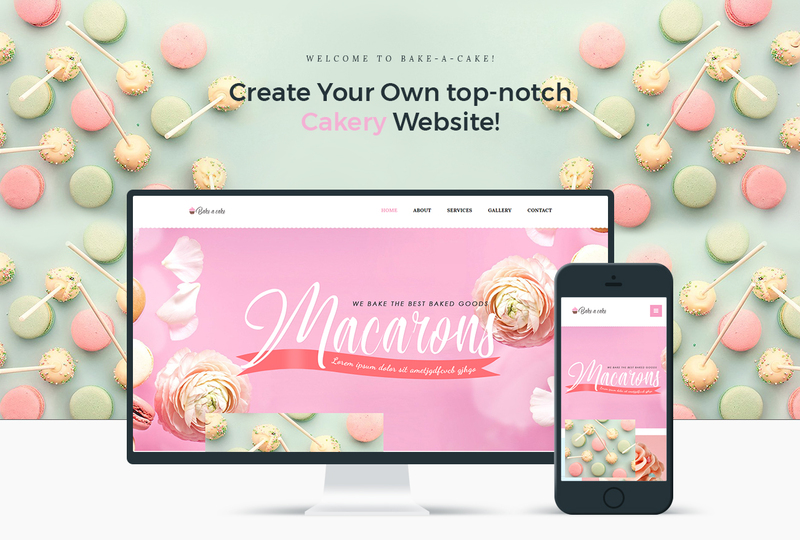 Enjoy seamless web development with this beautiful bakery WordPress theme!